The gift of grandchildren is a true blessing and one that can never be overstated. They make you feel young again, bring you endless joy and, at the end of the day, you get to give them back! There are those occasions, though, when you don’t give them back at the end of the day and they stay the night round at Nan and Grandad’s. We look forward to it almost as much as the kids do, and they love staying the night because they know it means they get to stay up late. As any grandparent will know, there is a lot of thought and planning that goes into getting the house ready for the little munchkins. 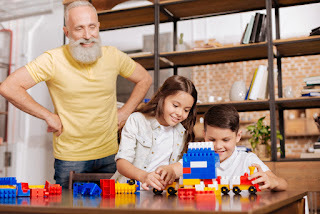 Activities, treats and food must all be planned well in advance before the grandkids arrive, otherwise you risk having bored/restless/hungry kids on your hands. Always have at least a couple of games ready to play at any given time. Try not to rely on an internet connection to keep the kids occupied, because otherwise they will spend the entire time you have with them sitting in front of a screen. It’s not healthy and doesn’t encourage socialisation, no matter how many social channels they have on their phones. Board games are always a big hit, especially family favourites such as Monopoly, Guess Who and Trivial Pursuit. Don’t be afraid to be competitive, but wouldn’t it be nice if the kids won a couple of rounds? While you don’t want the kids sat in front of the television all day and night, it doesn’t hurt to allow some television time. Find out what their favourites are and have a couple of box sets and films at the ready. Young children may only have short attention spans, so best to keep to shorter programmes as opposed to films, otherwise they might lose interest. 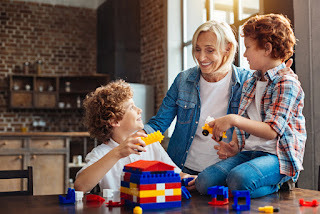 With loads of on-demand services available, such as Netflix, catch up services and more, finding something that the grandchildren will like shouldn’t be hard. No doubt that they will be forthcoming in saying what they want to watch! Make sure to have a selection of toys that you keep at the house for when they do come round. Chances are that they will bring their favourite toys with them, or their parents will ensure they are packed in their overnight bag, but it’s always better to be safe than sorry. 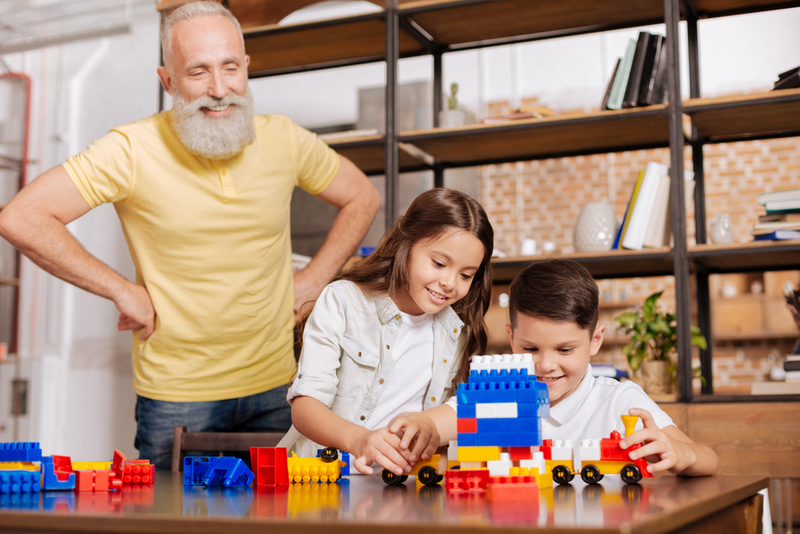 Grandkids will always look for presents when they visit Nan and Granddad, so to keep them happy (and save on spending out on expensive presents every time), small keepsakes are the way to go. From Little Cherry, little party bag fillers are available for pocket money and will keep the kids entertained for at least a little while. Sweets, sweets, sweets! If there is one thing that kids love it is sugar! Pack the cupboards with chocolate and cakes or, if you are feeling brave (and willing to clean up the mess afterwards) why not bake with the kids? It’s a great life skill to learn, and everyone knows that homemade cookies always taste better than what you can buy in the shops. So, there is the Nan’s guide to having the grandkids overnight and, as you can see, it makes for a hectic couple of days. You’ll be sad to see them go, but you will certainly welcome the peace and quiet. Nice to see you stopping by. Thank you for your comment and I hope you stop by again. Helping to do our bit for those less well off.